In this age of 24-hour news, social media madness and instant messaging, there are a million and one things clamouring for our time and attention. Most of us have a tough time saying no to things. Sadly, we live in a world where it is considered a positive thing to take on more and more, thinking that the end result will be more fruitful. But, that is often not the case. It is easy to take on so much that there is never enough time to get the important things done! 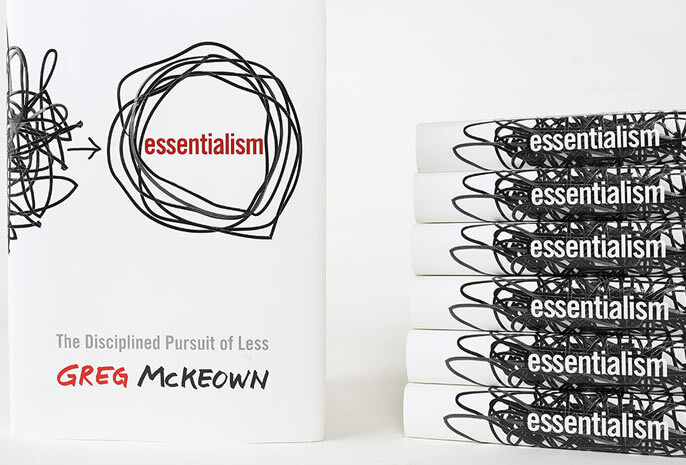 In Essentialism, Greg McKeown shows us how to achieve what he calls ‘the disciplined pursuit of less.’ The book challenges the core assumption of ‘we can have it all’ and replaces it with the pursuit of ‘the right thing, in the right way, at the right time’. This approach isn’t a task and time management tactical list. It is way more than that. It is a mind-set, a way of life. It’s about applying highly selective criteria for what is essential and saying ‘no’ to what isn’t. Essentialism is living one’s life in such a way that all of one’s energies are concentrated on accomplishing the vital few things that really matter. In order to do this, we must know what the essential things are, cut out the things that are not and put ourselves in a position where doing the essential things becomes effortless. This also extend to one’s finances. Many of us spend way too much on ‘stuff’ because we think stuff will make us happy. But what if we apply a more selective approach to the things we spend our money on? This is a great book with lots of practical ideas on how to apply the philosophy to our daily lives!